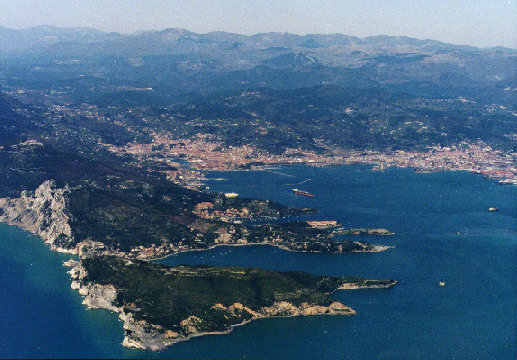 A photo of La Spezia gulf, on the left bottom a view of Palmaria Is. EU-23. The Sierra Papa Group H.Q. are located in this city since 1987.